Are you in need of Townsville translation services? Look no further than OPAL Translation! OPAL Translation provides legal and business document translation services for Townsville. Our experienced and highly skilled team of NAATI accredited translators perform NAATI certified translations. Prices for NAATI certified translation start at just $69 – enquire today! For 5 years, we have provided accurate and error-free document translations which is why OPAL Translation became the leading Townsville Translation Services provider. Our large team of project managers and Townsville NAATI translators has allowed us to deliver and respond to the high volume of translation requests with fast turnaround time. 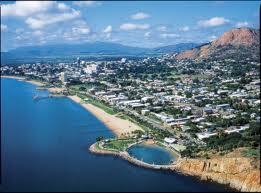 Why not avail of our Townsville translation services today? Simply fill in your details on the enquiry form on this page, and we will send you a firm quote within 15 minutes for free. You don’t even have to come to our office. Get your document translated from the comfort of your own home. 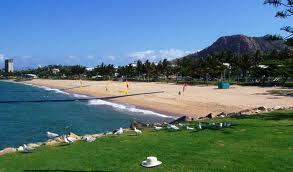 Our Townsville NAATI translators can finish a translation within 2-3 days. However, we provide Express and Instant Townsville translation services for urgent cases. Let us know of your deadline by completing the enquiry form. We only provide the most qualified NAATI accredited Townsville translators for your document translations, so you are confident that you will receive a 100% high-quality translation. Our customer service representatives are available 24/7 to assist you with any Townsville translation services that you might need. Complete the enquiry form on this page, and we will email you an exact quote within 15 minutes. No need to wait for an hour, a day or a week. Receive your quote fast and for free. Send us a scan or photo of your document, and we will gladly assist you in your translations. All of our Townsville translators are NAATI certified, and our document translations have the NAATI certified translator’s stamp, signature and statement of accuracy. Our Townsville translators will be happy to take on your Townsville translation services for the following languages. Townsville is a city in the tropical north of Queensland. It is well known for its mining, Great Barrier Reef, and humidity. Here, we dig deeper into the 5 things you might not know about Townsville. JR, a Texas Longhorn steer, was certified to have the longest horns of all the cattle on the planet in 2011 and is now a Guinness World Record holder for the Longest Horns in the World. His horns are measured to be more than 2.82 meters. Townsville is home to Australia’s largest Army Barracks – 3rd Brigade. If you’re interested, you can take a trip and learn about the place’s rich history. The first to lead guided Segway tours in a National Park in Australia in Townsville. People hop on to two wheels to go around the Town Common Conservation Park. Reef HQ is the world’s largest living coral reef aquarium and is in Townsville. Documents classified as standard documents like birth certificates, driver’s licences and ID cards are priced at a per document rate. Get an exacy quote when you send us copies of your documents via the enquiry form. You can check the indicative pricing below. We provide different speed options depending on the urgency of your translation. Just let us know your deadline. Are you a business or Government customer? Pricing for non-standard documents are at a per 100 words rate. Send us your documents via our website form and we will happily provide you a free quote.